Sounds like you want to be studying Web Design! The Internet is the fastest growing source of information. For this reason the demand for innovative and creative web pages and web sites has grown immensely. Web development requires a broad spectrum of technical skills including multiple programming languages, image development and implementation, movie and animation loading to the web, graphics applications, and web page formatting. Create a multi-column HTML/CSS solution using a text editor. Create and implement an online store using WordPress. Create and implement a custom bootstrap based WordPress theme. Design a new site or redesign an existing site to improve usability. Design a logo or other similar graphic design project. Demonstrate the ability to improve the aesthetics of a graphic. Create a short banner animation and a simple mobile application. Use jQuery to connect to an online API and display the retrieved data. Use PHP to create a simple token-based login system. This career-focused program gives students the opportunity to attain the technical skills needed to work in the web design industry. 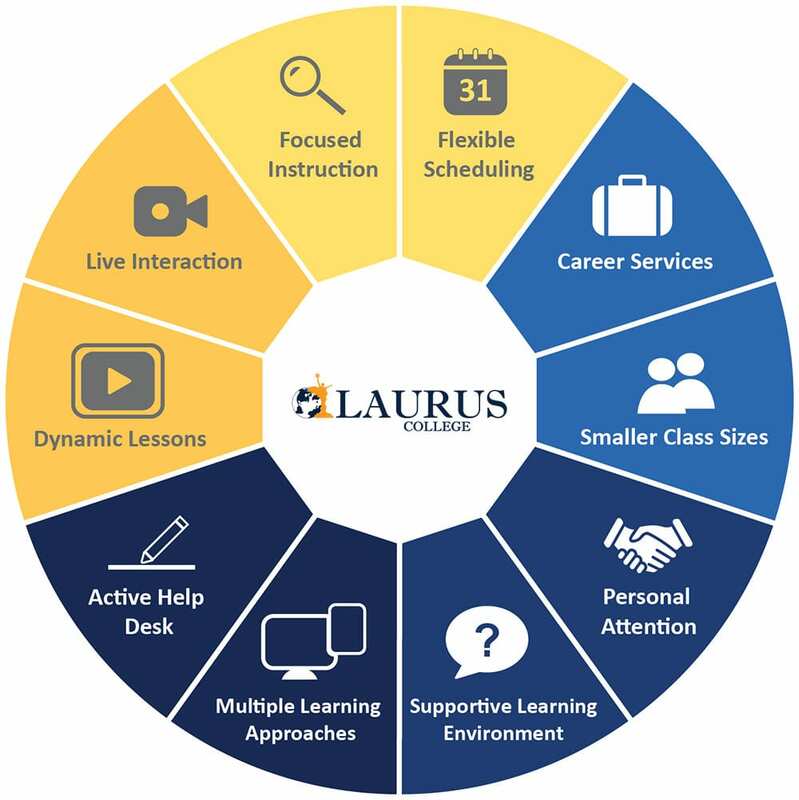 If you’d like to know more about the careers available to grads of our Web Design program and explore whether Laurus is right for you, fill out the form on this page to receive more information. algebraic concepts, functions, and operations, utilizing a balanced approach of basic algebraic theories with practical applications and conceptual understanding. Students review mathematical concepts including addition, subtraction, multiplication, fractions and decimals as it applies to business operations. Students gain an understanding of basic mathematical and algebraic concepts and functions needed for the world of business including but not limited to account balancing, payroll, depreciation, profit and loss calculations, interest calculations, problem solving, probability theory, and decision making. In this course, students will learn how to reproduce common web design layout patterns to quickly create websites that are easy to understand and navigate. Students learn to create more complex multi column designs to make their pages easier to read and understand. Students learn the basics of wireframing and planning as they take first steps towards building custom layouts utilizing design patterns. Students review the anatomy of web pages and examine common workflows as well as build confidence via critiquing both their peers and ready-made examples. In this course, students will learn the basics of installing and managing popular Content Management Systems (CMS). This class will explore the creation and implementation of custom themes as well as the process of managing accounts, comments, pages, posts and other common CMS tools. 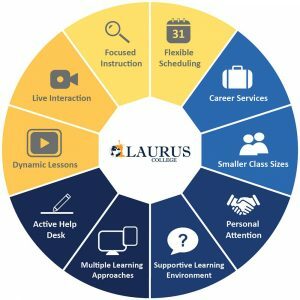 Students will also study techniques to craft and display blog posts and other content. Topics include writing and installing plugins using popular scripting languages such as PHP, creating custom templates, and modifying the user interface. In this course students learn to create an online ecommerce solution using popular Content Management Systems (CMS). Students work with ecommerce plugins to transform their projects into websites designed for electronic sales including a means to collect orders, store customer information, work with payment gateways, and protect data. Students will learn to customize their sites for different types of businesses and products and add other common ecommerce elements. In addition students are introduced to analytics and metrics for CMS sites as well as improving search engine optimization through plugins and other methods.